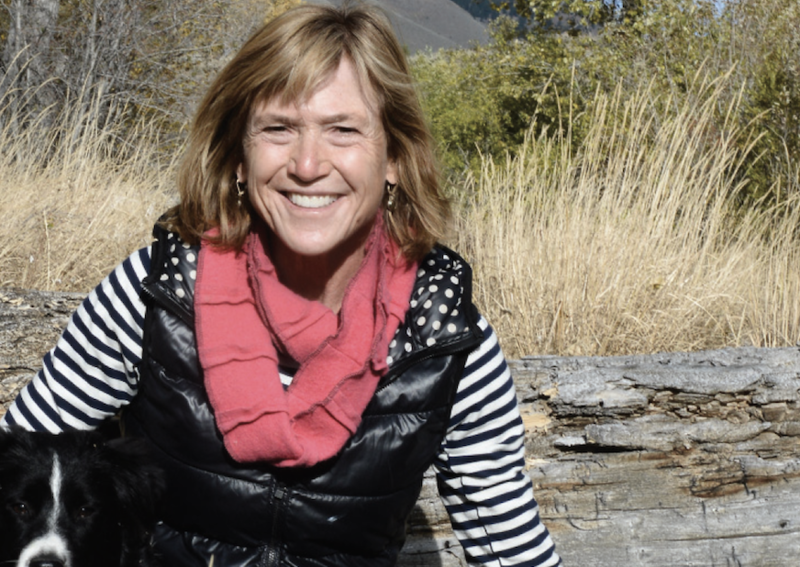 The beautiful mountains, year-round athletic pursuits and healthy lifestyle drew Kim Nalen to Sun Valley. Along the way, she discovered that the incredible support and sense of community unique to the Wood River Valley are equally important to maintaining good health. “I appreciate the mountains, just as much as the way in which our community looks out for one another,” Kim says. The strong sense of community has helped Kim through difficult times. Her younger brother, David Nalen, was diagnosed with a rare form of cancer that was not responsive to chemotherapy. After seven years, David lost his courageous battle to the terrible disease. Later, Kim’s mother, also named Kim, was diagnosed with a form of amyotrophic lateral sclerosis (ALS) that accompanies dementia. Within 10 months her mother peacefully passed away with her family at her bedside. As a way of dealing with her losses and helping to strengthen the community, Kim began volunteering with hospice and later with St. Luke’s Wood River Medical Center. She had witnessed firsthand the importance and value of medical and end-of-life care, and wanted to help others. Additionally, Kim, a true mountain athlete, has endured her own set of injuries. She has personally experienced the importance of outstanding health care and the support of a caring, generous community. “We are blessed to have such high quality health care in such a small community,” she says. As a certified emergency medicine technician (EMT) and Healing Touch provider, Kim has given back in many ways to help others. She wants to make a difference and knows that her volunteer time and financial contributions change people’s lives. In the spirit of making a difference, Kim has become passionately involved with supporting St. Luke’s Wood River Foundation’s Compassionate Care program. The Compassionate Care program helps patients in need by assisting with the cost of lodging, transportation, medical supplies, medications and other health-related necessities. This program is designed to encourage health and healing by providing assistance to patients with significant financial hardship. Over the past year, Kim has worked to inspire others to support the Compassionate Care program. As a member of St. Luke’s Volunteer Core Board, Kim helped direct proceeds from the St. Luke’s Wood River Gift Shop to support the Compassionate Care program. Kim knew she could do even more. She named the St. Luke’s Wood River Foundation in her estate plans, with an intention of supporting the Compassionate Care program. By joining St. Luke’s Wood River Foundation’s Legacy Society, Kim will have a lasting impact well after her lifetime.